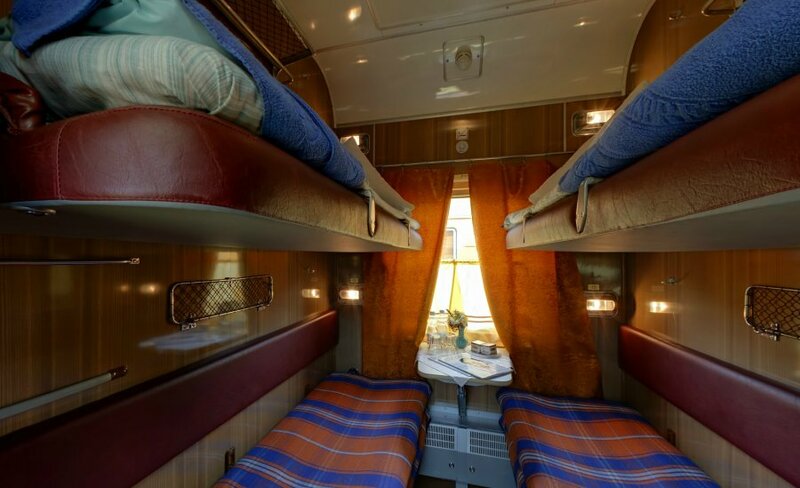 Latvijas Expresis train, Buy Latvijas Expresis train tickets online quickly and easily. 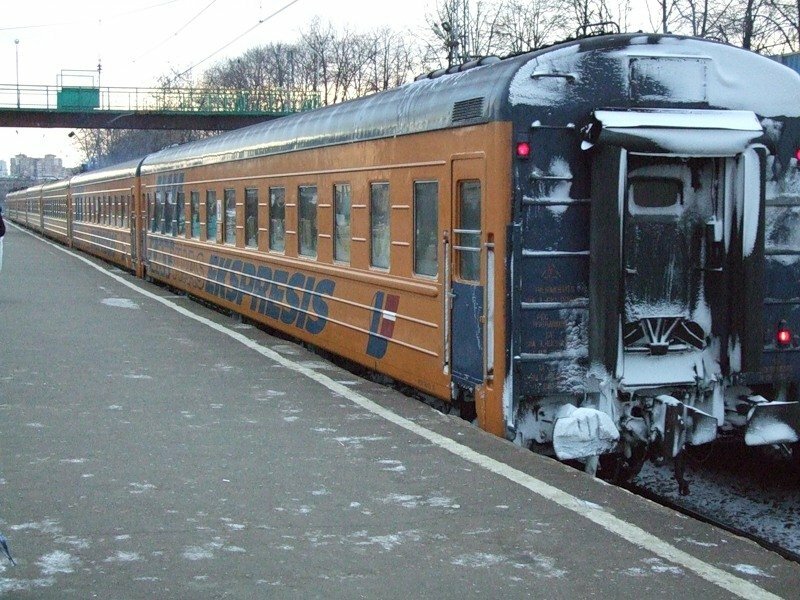 Train 001/002 Latvijas Expresis is a daily overnight train operating on Moscow to Riga route. 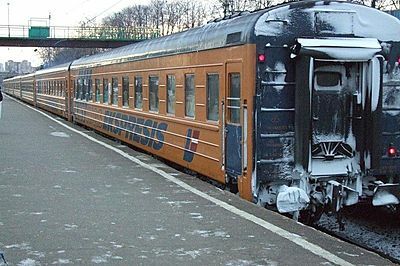 The train also has so-called 'through coaches' that go to St. Petersburg. The train is run by Latvian Railways (LDZ). The trip to Moscow takes 16 hours most of which are at night. The train has the following classes: VIP 1s class, regular 1st class, 2nd class, 3rd class and seats. 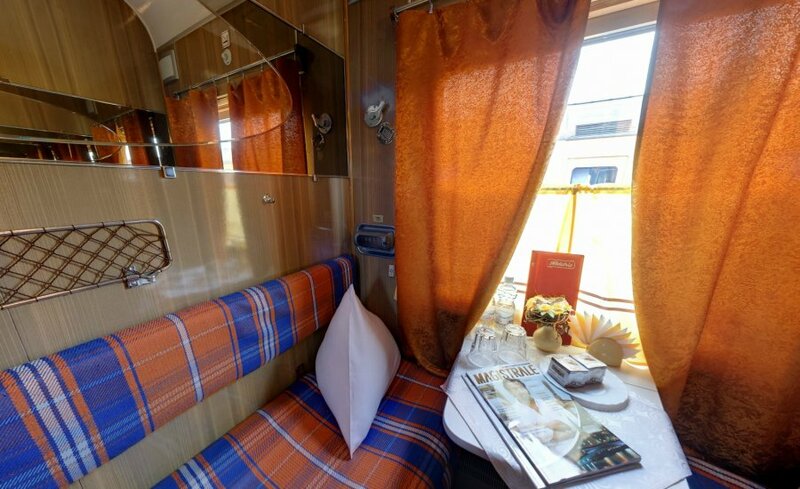 Price of all 1st and 2nd class tickets includes: Free WiFi on Latvian territory, bed linen, mineral water (one bottle), tea or coffee with sugar, cookies (one pack), newspapers. VIP 1st class carriage has 4 cabins for 2 adults (1 child under 10 years can join them). 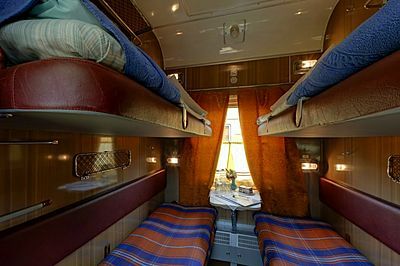 Each carriage has two berths - lower and upper (the lower one is wider), air-conditioning, a table, a pull-out armchair, a wardrobe and a sink. The price of tickets in this carriage also includes: TV, shower bathrobe, toothbrush, slippers, juice. The carriage has a shower and two toilets. Each 1st class carriage has 9 cabins with two lower berths. Each cabin has a TV and air-conditioning. Bed linen is included in the price of tickets. 1st class carriages have two toilets. Gender-sensitive compartments are available. Each 2nd class carriage has 9 coupes with 4 berths (2 lower and 2 upper berths). Each coupe has air-conditioning. Bed linen is included in the price of tickets. 2nd class carriages have two toilets. Female/male compartments are available. 3d class carriages and Seats (regular 3d class carriage where passengers sit together) are also available on this train. Bed linen, mineral water (one bottle), tea or coffee with sugar are included to the price of a 3d class ticket (not seat). Restaurant carriage offers a great menu. Meals can be ordered to the cabin.